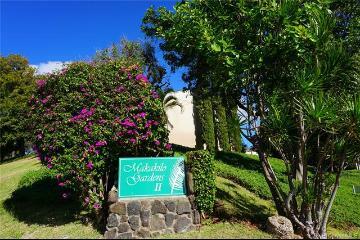 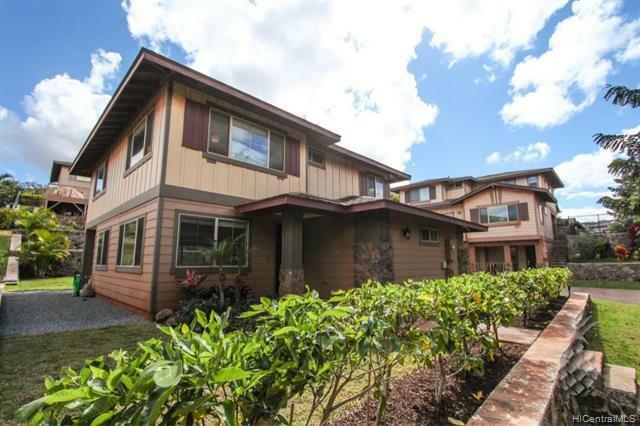 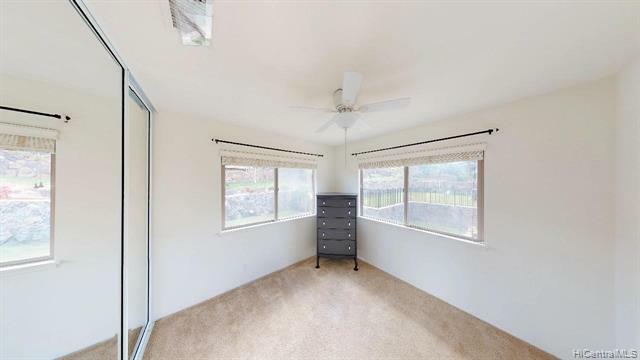 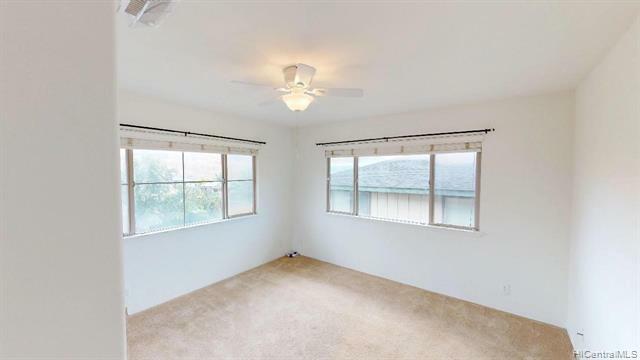 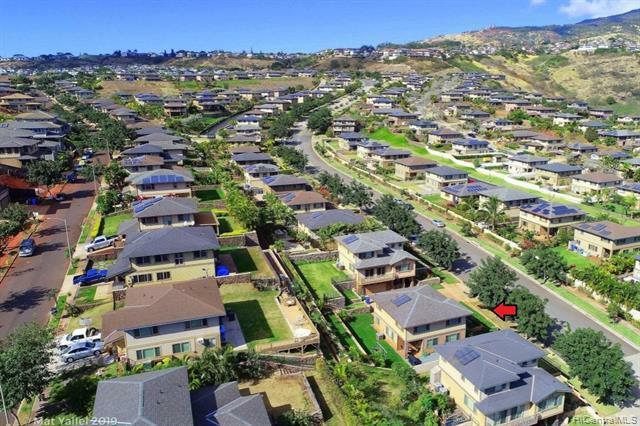 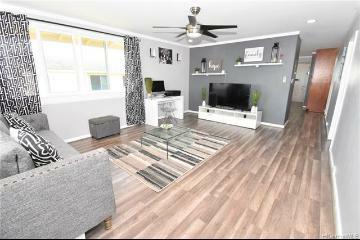 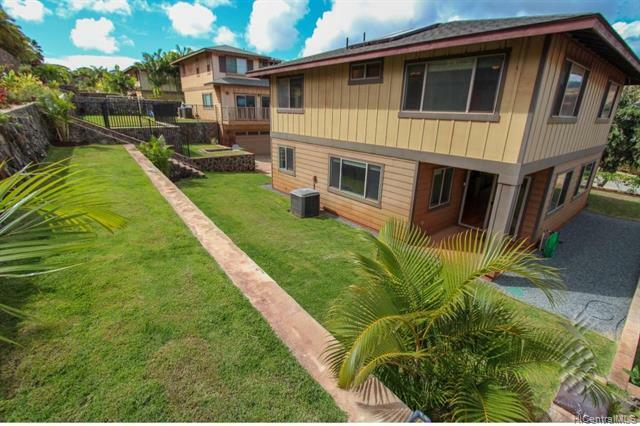 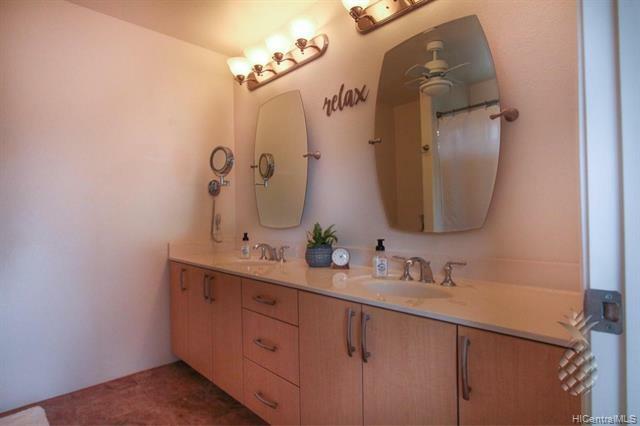 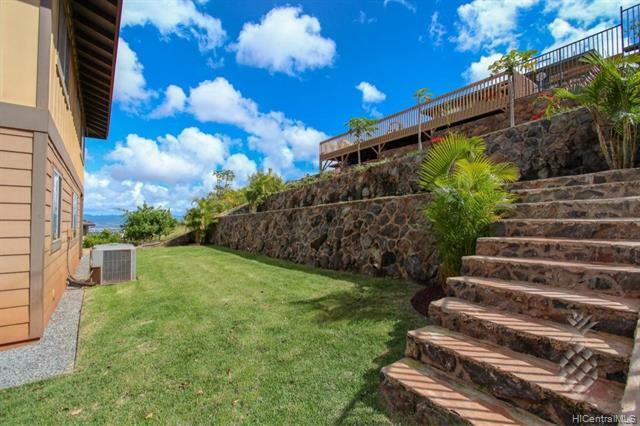 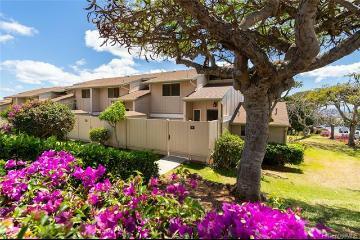 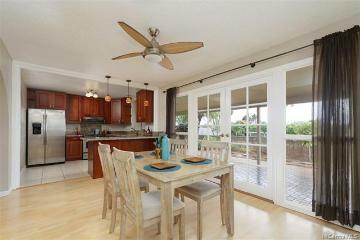 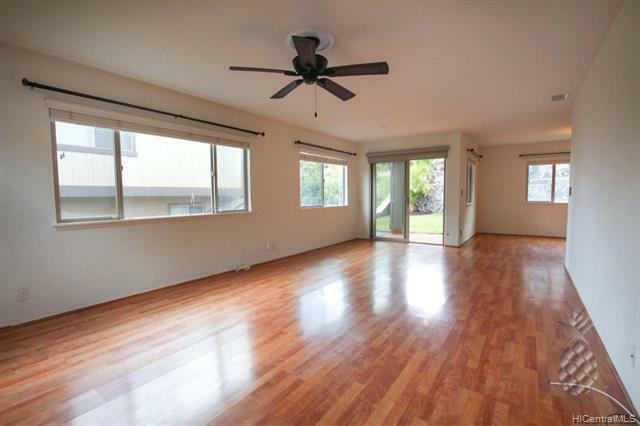 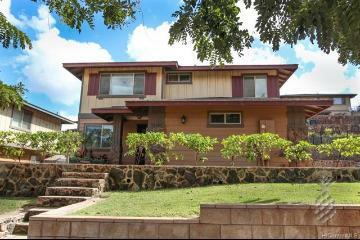 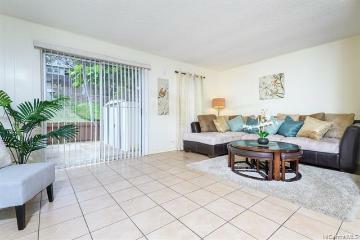 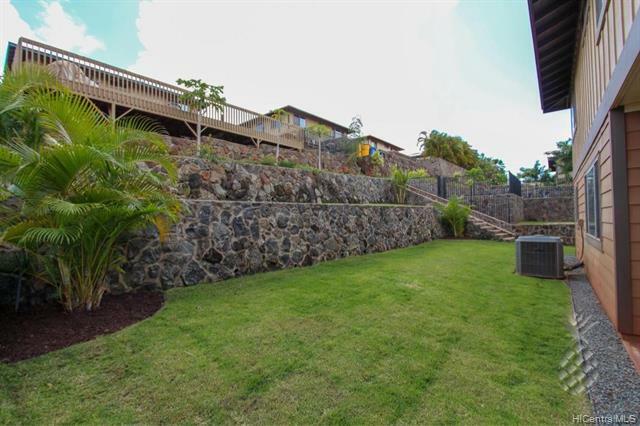 Wonderful 3 bedroom 2.5 bath home in the relaxing Wai Kaloi neighborhood of Makakilo. 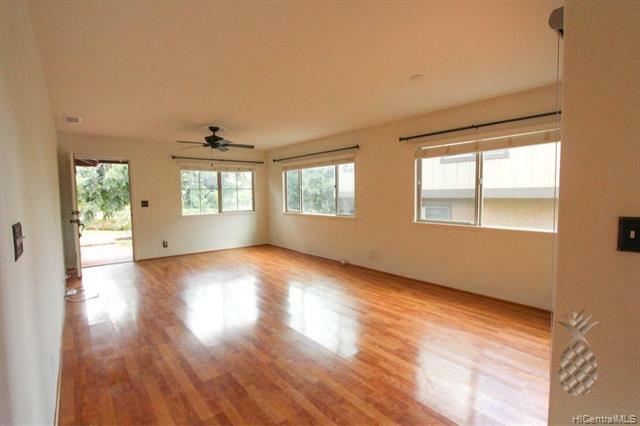 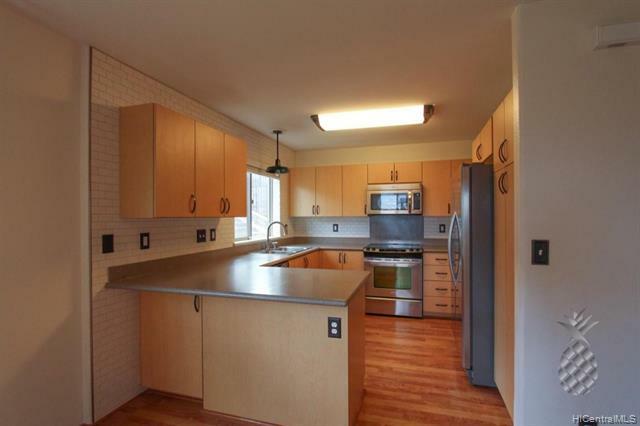 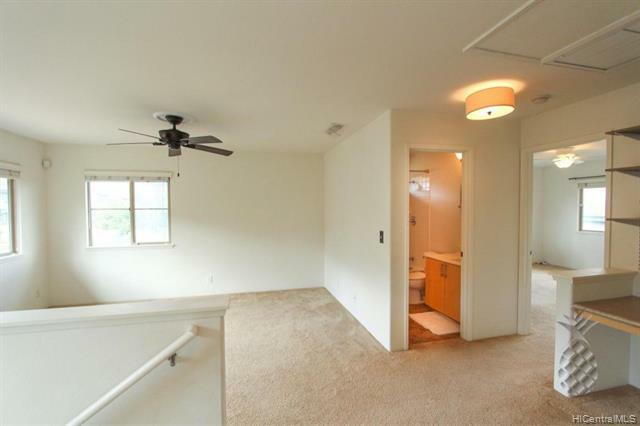 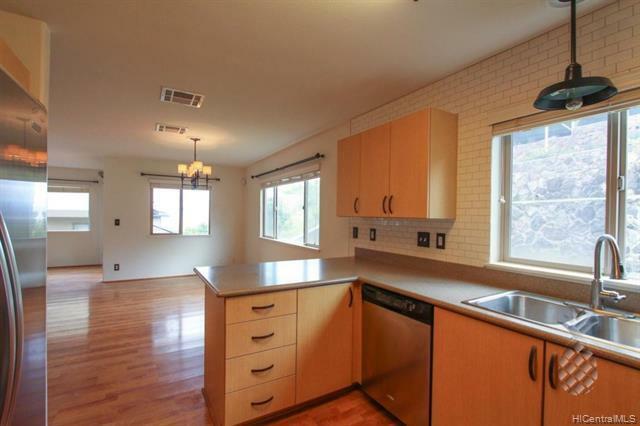 Spacious living room flows nicely into the kitchen and dining room areas. 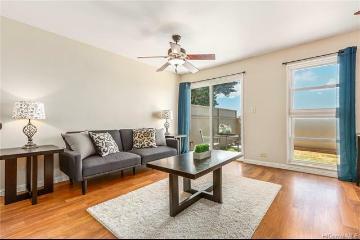 Good natural lighting throughout the home. 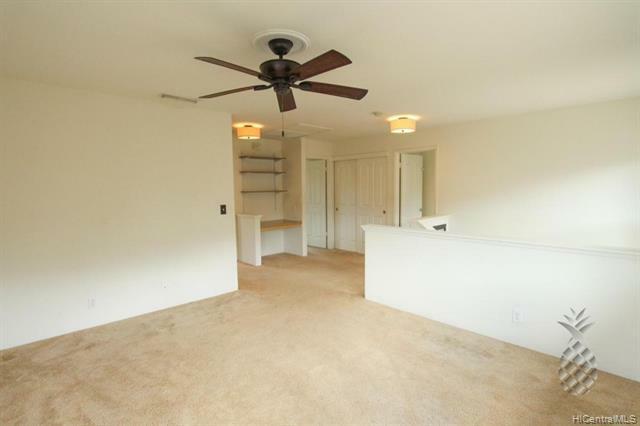 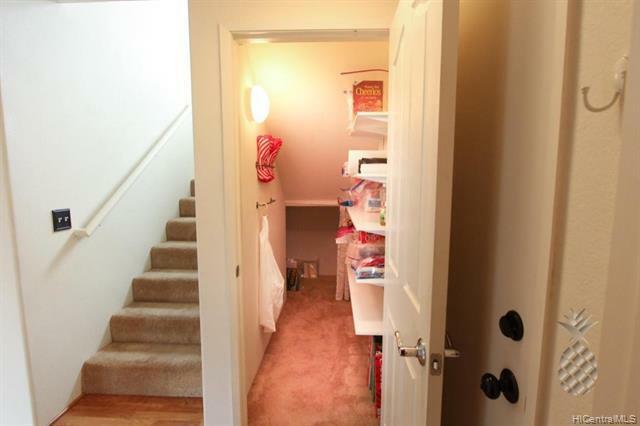 Upstairs has an extra family room area that could be converted to a 4th bedroom. 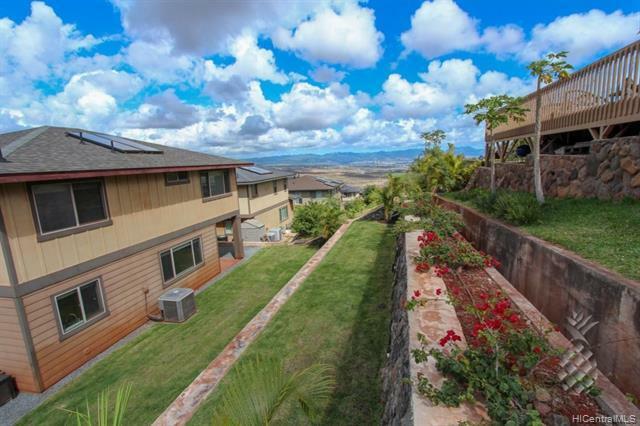 Beautiful ocean and mountain views from your terraced backyard and master bedroom. 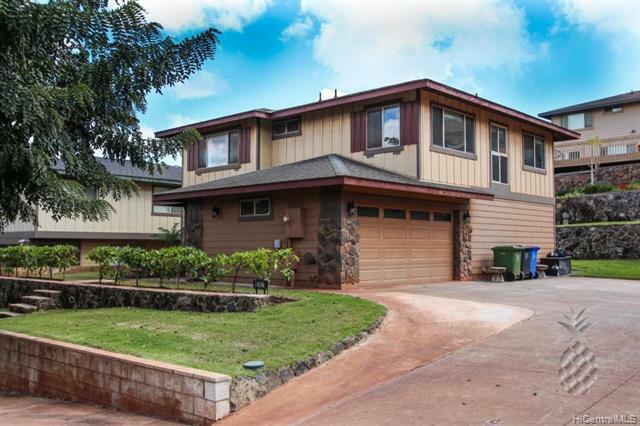 This home features: Central AC, solar water heater, large 2-car garage, kitchen pantry, laminate flooring, stainless steel appliances,and security system. 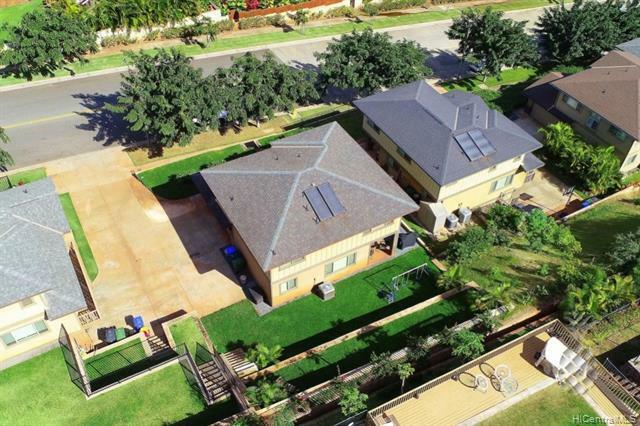 Sellers spent $70,000 to extend driveway, terrace and landscape the backyard in 2017. 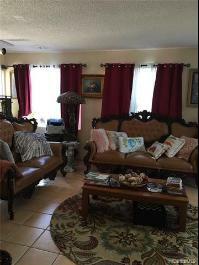 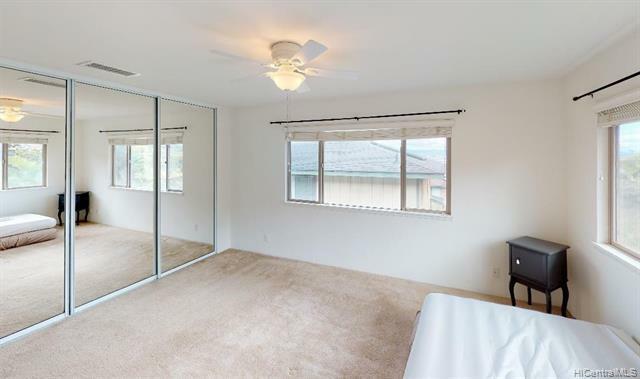 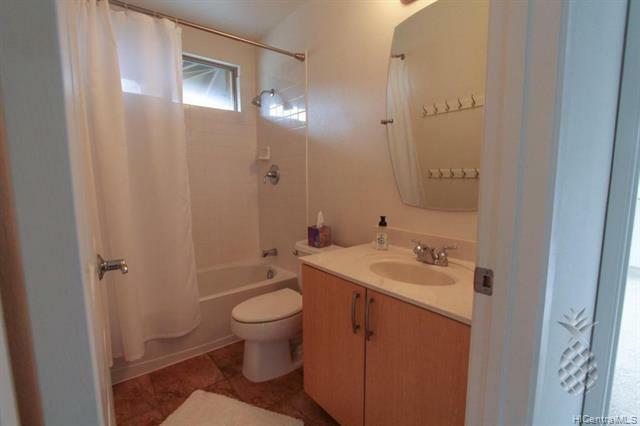 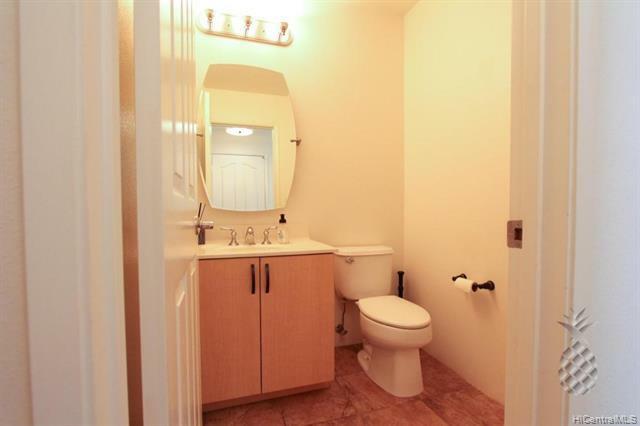 Close to parks, schools, golfing, and shopping centers. 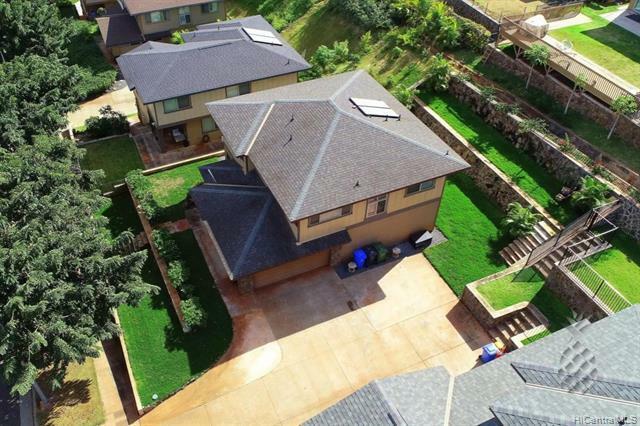 View 3D Interactive video tour in the virtual tour section. 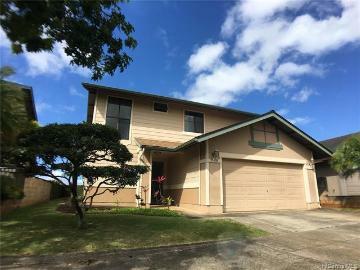 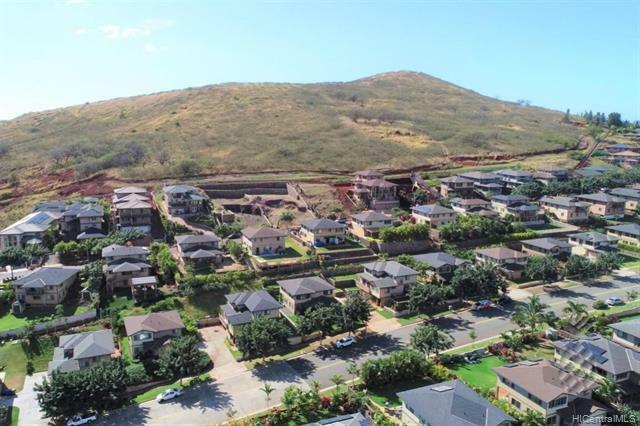 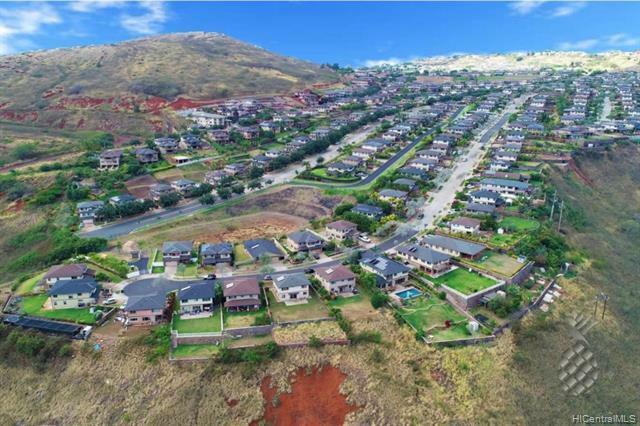 92-1471 Makakilo Drive, Kapolei, HI.